I’ve applied to be on this show twice, and I hope that one day I can be on it. Here’s my real life (cross my heart) (hope to die) (stick a needle in my eye?) application. Cross your fingers and use your 11:11 wish that I get this opportunity! 1. HOW DID YOU HEAR ABOUT CASTING FOR WIPEOUT? I love the show, so I googled it and this is where I ended up. I guess no one told me out loud so I didn’t technically “hear” about it. Does my application still count? 2. WOULD YOU LIKE TO BE CONSIDERED FOR ANY SPECIALTY EPISODES? IF YES, PLEASE LIST WHICH SPECIALTY AND A TEAMMATE NAME AND CONTACT NUMBER IF APPLICABLE. Definitely hotties vs nerds. I’m willing to participate on either team. Twins if I find a person who looks like me. Wipeout Canada version if that counts as specialty. Newlyweds I can’t guarantee, but you never know what the future holds. 1. WHO IS YOUR CURRENT EMPLOYER AND OCCUPATION? I’m currently a summer camp counselor employed by Boston College. My areas of expertise are sarcasm with campers, dodgeball, and saying “no”. 2. WHAT ARE THE MOST INTERESTING JOBS YOU HAVE HAD? I’ve worked at my mom’s grocery store milling peanut butter for hours on end. I also was the mascot, a giant cardinal, in the fourth of July parade once where I was almost tackled to the ground by children. 3. WHAT IS THE NEXT MILESTONE IN YOUR LIFE BESIDES WIPEOUT? Besides Wipeout? Gosh. My cat turns two next May? Someday own the cutest dog in the world that also gets along with my cat, get a job that I love, attend a concert on the moon. I played varsity volleyball in high school. I was also the captain of the ultimate frisbee team in high school and am currently one of the captains of the women’s ultimate team at Boston College. I also am the two time women’s singles badminton champ at my high school. It was a real thing, I swear. I have a t-shirt that says champion. 7. PLEASE LIST THOSE THAT APPLY: MARRIED, DIVORCED, BOYFRIEND/GIRLFRIEND, SINGLE. HOW LONG HAVE YOU BEEN IN YOUR CURRENT RELATIONSHIP? I’m currently single, but I hope being on Wipeout can change that! 8. HAVE YOU EVER WON ANY AWARDS / DISTINCTIONS? I won the book award from Russell Sage College, but I didn’t want to go there because it was all girls. The previously mentioned badminton championship. And I got the character trait of the week for “Responsibility” my senior year. 9. WHAT WERE YOU VOTED MOST LIKELY TO… IN YOUR HIGH SCHOOL YEARBOOK? I wasn’t voted anything in high school because I wasn’t cool. I’m told that I’m funny for a girl. I am extremely easy going and have an uncanny ability to communicate with cats. 11. WHAT ARE YOUR WORST QUALITIES? I like cats a little too much, I’m not very tidy, and I snore. 13. GIVE AN EXAMPLE OF WHEN YOU HAVE RISEN TO A CHALLENGE IN COMPETITION. It’s so hard to choose just one. I once spent a ton of money on a pinball machine because I really wanted the high score and I wouldn’t give up until I got it. 14. DO YOU HAVE ANY FEARS? IF SO, HOW DID THEY COME ABOUT? I’m terrified of sharks because my younger brother went through a phase where he only watched documentaries about sharks. Bull sharks can go in as shallow as 3 feet of fresh water, so if there are sharks in the water in this show, I will kindly turn down the offer. 15. DO YOU HAVE ANY SPECIAL OR STRANGE TALENTS? I’m good at obscure sports, making situations awkward, and binge watching television shows. 16. WHAT IS YOUR UNIQUE AND PERSONAL MOTIVATION FOR WANTING TO COMPETE ON THE SHOW? 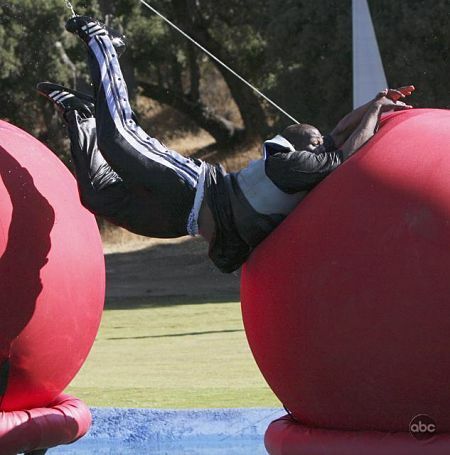 Wipeout is a show like no other. I truly want to know what the giant foam pads feel like, it looks like it hurts so badly when they hit it hard but then they just get back up. Like how do people not break their faces? That intrigues me. 17. HOW WOULD YOU USE YOUR WIPEOUT WINNINGS? Oh god, I don’t even know. I’d probably buy some clothes, buy my dad a really nice straw hat because he recently told me he wanted one, and travel everywhere. I once tickled the stomach of a cat. That’s like putting your hand into a bear trap. What goes in often doesn’t come out unscathed. 19. WHAT FAMOUS PERSON DO PEOPLE SAY YOU RESEMBLE? 20. IF YOU COULD BE ANYONE LIVING OR DEAD, REAL OR FICTION, WHO WOULD YOU BE AND WHY? 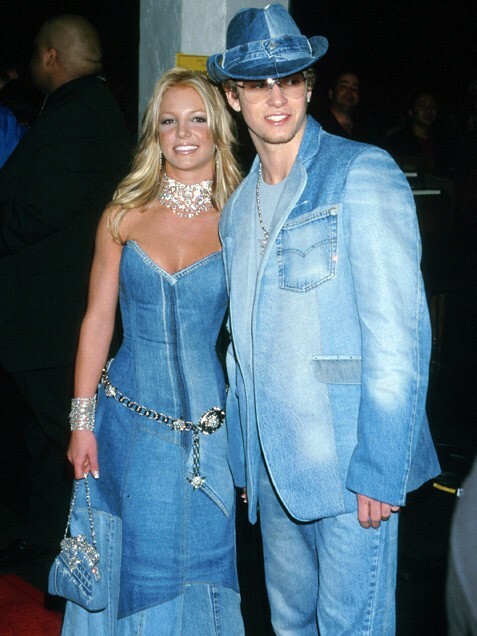 I would choose to be Britney Spears circa Oops I Did it Again/dating Justin Timberlake because life just doesn’t get much better than that. I don’t get easily embarrassed, but I was pretty embarrassed one time when I was in a musical in ninth grade. I did stage crew and we were doing a scene change and I tripped on stage. The floor mics amplified it and I couldn’t get up because I was slipping on the backdrop and it was just so bad. The principal then announced it over the loudspeaker on Monday morning right when I was walking into Spanish class late. 22. IS THERE ANYTHING INTERESTING OR UNUSUAL ABOUT YOU THAT WE SHOULD KNOW? Aaron Carter follows me on twitter. It is literally what I am most proud of in my entire life and it is so pathetic but I love him. It took months of effort and tweets to accomplish it was the best day of my life. However, he now follows a lot more people so I guess you should know that I don’t like cheese. 23. IF YOU WERE GRANTED ONE WISH (HOWEVER IMPOSSIBLE), WHAT WOULD IT BE AND WHY? I bet so many people say that they would wish to be on wipe out. Or they say that they would wish for more wishes. I would wish for teleportation. I aspire to travel to all parts of the world, and that would just be incredible. I would also be able to bring other people with me also. But my life would be better than that movie Jumper, that movie was the worst. Just the previous season of Wipeout. None that I know of. AM I BEING PUNK’D??? 28. CAN YOU SWIM? YES, NO, OR NOT THAT WELL? Yes, very well. Some people call me Michelle Phelps. This is me getting ready for a big race! I tore my ACL on April 14th, 2013 while playing ultimate frisbee. However, I am almost healed and if you allow me to wear my knee brace I can do practically anything. Birth control. It’s this pill that you take every morning that regulates my hormones and I potentially will be free of a disease called babies, like rabies, but more expensive and long term.